Our home evaluations can help determine the best upgrades for your energy-saving goals. Spray foam insulation is engineered to get maximum comfort and energy savings in your home. Make your home more comfortable and less expensive to heat and cool with crawl space insulation. "Staff was very friendly and courteous. We are looking..."
"Quick to reply, salesperson was very knowledgeable and able..."
Our goal at Blanket Insulation Services is to transform your home or business into a more energy-efficient, comfortable space. With over 30 years of experience in the industry, we're doing a pretty good job! Insufficient insulation is a leading cause of energy waste in your home, and we specialize in insulation services for this reason. Properly installed insulation will keep you feeling at your best no matter the season - all while spending less on utilities. As a part of the Dr. Energy Saver network, Blanket Insulation Services has access to proven and patented products and skills to ensure our success. All of our technicians are trained and certified to provide innovative, effective solutions to your home energy troubles. They will respond to your inquiries with care, ultimately protecting your home from temperature fluctuations and high costs for years to come. Take a look around and see what we can do for you! Do you fear issues with your insulation, and are you looking to save money on utilities and feel better at home? You've come to the right place! Blanket Insulation Services offers Free Estimates for work needed. We also perform home energy assessments to pinpoint energy inefficiencies in your home or business. Call us today at 1-248-450-3467 or contact us online to get started! Have you experienced any of these common situations in your home? These are all symptoms of a lack of insulation. Properly installed insulation is an impenetrable barrier between the outside air and your conditioned air inside. Insulation maintains the temperature in your home throughout the year. And, in doing so, your HVAC system will work less and yield greater results, meaning increased energy savings - permanently! We are skilled in installing, repairing and replacing spray foam, blown in, and cellulose insulation. We can use any of these techniques to help you insulate any room in your home. And we can't wait for you to feel the difference that your insulation will create. Along with insulation services, we can also weatherize your home to seal leaks that lead to further wasted energy. Feel free to ask us any questions you might have! Every moment that your home suffers from a lack of insulation, you're losing money to unnecessarily high energy bills. And what for? Not only will the long-run costs be greater, you will be painfully reminded of the extreme temperatures that your home cannot keep at bay. Blanket Insulation Services can get home and business-owners out of this rut. We truly believe in the value of energy efficient homes because of the endless benefits they provide to our customers, their families, the environment, and more! We are a family company, locally owned and operated with great knowledge of the area and our customers. 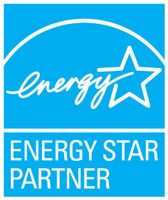 If you are looking to improve your home's energy efficiency, we are happy to help! We provide Free Estimates for work needed, as well as home energy assessments to diagnose your home's energy usage and create a personalized game plan for success. Contact us today to schedule your appointment! We service residents of the following cities and areas nearby: Royal Oak, Farmington Hills, Ann Arbor, Livonia, Novi, Canton, Dearborn, Clinton Township, West Bloomfield, Ypsilanti, Farmington.